The greatest hope of European regulators cracking down on Google’s business practices is that the rest of the world becomes a little more like China and its flourishing technology industry. It is hard to imagine the European bureaucrats’ dreams will come true. In China, government restrictions and Google’s strategic decisions have left the country’s technology market to operate almost free from the search giant’s grip for years. As a result, Google’s web search is a bit player. Local companies dominate internet searches and just about every other technology imaginable. 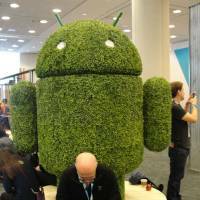 They have sold billions of smartphones running modified versions of Google’s Android software, but without Google’s apps or app store. Homegrown companies have sprung up to create valuable, innovative consumer technology services that are seeding ideas for the rest of the world. China’s technology explosion might have happened even if Google had been able to thrive there, but it certainly didn’t hurt that the company’s hands were shackled. That is the scenario that European antitrust officials had in mind on Wednesday when they slapped Google parent company Alphabet Inc. with a fine of 4.34 billion euros ($5 billion) and ordered it to change how it treats Android. European officials say Google illegally forced companies that make Android-powered smartphones to give preferential treatment to Google by, for example, requiring that its web-search app and Chrome browser be included automatically and by making it tough for those smartphone makers to sell modified versions of Android phones as many companies do in China. The European Commission is leaving it up to Google to figure out how to stop those practices that violate its antitrust laws, if the company hasn’t stopped already. European regulators imagine a world in which a zillion smartphone apps and operating systems will bloom, as they did in China. They imagine Samsung or HTC striking deals to make the Firefox web browser the built-in option for new Android phones, putting Microsoft’s Bing front and center for people’s internet searches and apps from startups having the same shot at finding a huge customer base as those from titans like Google. In a nice idea, but it may be too late for the European fantasy to come true. The rest of the world, and definitely Europe, are not China and this is not 2010. It is not clear the European regulators can turn back the clock and create a technology landscape different from the one that exists today in their corner of the world or beyond. If Google has illegally tied the hands of its partners including smartphone makers and mobile-phone carriers — and the company has said for years it did nothing wrong — then the damage has mostly been done. 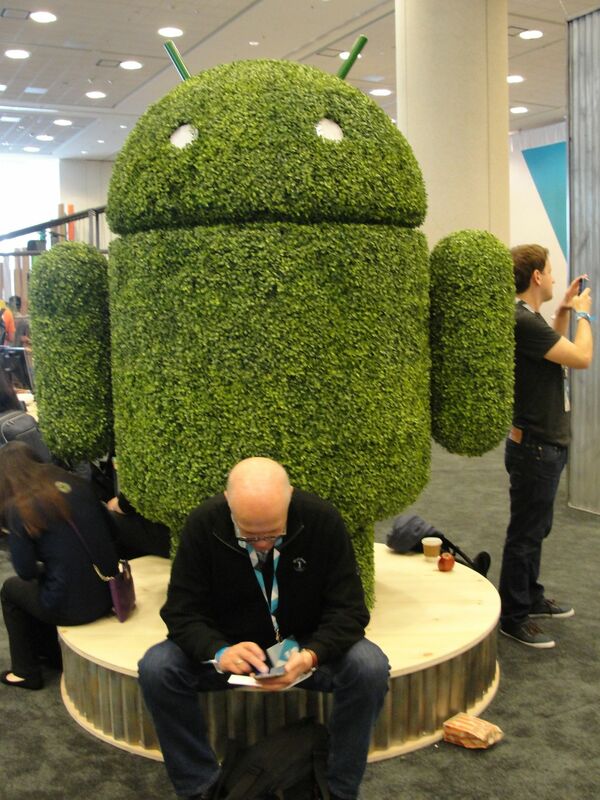 Android powers 85 percent of smartphones sold in the world, and outside of China and a few other spots that position has helped Google’s web search, Chrome, Maps and other company technologies become wildly popular. Consumers have embraced those technologies, but Google has helped its cause through its business strategies, including striking contracts with Android phone makers and Apple to ensure its web search and apps have a pole position on smartphones. The problem is that the EU is trying to wage a war in the smartphone market that Google and the other global technology superpowers have already won. I hope I’m wrong. Europe’s antitrust authorities aren’t the only ones who wish there was room for newcomers to seriously challenge Google, Facebook, Amazon and other titans in the corners of the tech industry they have commandeered. Just ask Snapchat, Yelp, Houseparty, Nucleus or any other relatively small company that has found itself under the boot of a tech giant. It is tough for European regulators to turn back the tech superpower tides in mobile, but it is hard to know for certain how their actions will shape the future of technology. Regulatory actions tend to have unpredictable consequences for monopolists. Microsoft Corp. missed a whole technology industry shift to mobile phones in part because it was more cautious once it was in the regulatory penalty box over how it was using its Windows operating system. A hamstrung Microsoft was arguably good for consumers and for the development of technology — and it was certainly good for Google. Likewise, if Google is worried about further regulatory crackdowns, that could provide an opening for the next Googles if voice-activated digital butlers, autonomous vehicles and virtual reality systems become the ubiquitous technologies of the future as smartphones have been. That war is just beginning.